The Mandeni Municipality, an affirmative action and equal opportunity employer herewith invites applications from suitably qualified and competent persons for appointment to the following position within the Department of Community Services and Public Safety. Minimum requirements: • Grade 12 plus National Diploma in Traffic Officers (NQF Level 6) • Vehicle and driver’s licence Examiner’s Certificate (Grade A) • Valid driver’s licence Code EC • 3 – 5 years’ relevant experience. Duties, skills and competencies: Please visit website at www.mandeni.gov.za for duties, skills and competencies. Benefits: All standard Municipal fringe benefits which inter-alia includes a housing subsidy, medical aid, travelling allowance and pension fund would be applicable to the above post. Enquiries must be directed to: Mrs. N.W. Ntuli (Manager: Human Resource and Council Support), tel. (032) 456 8200. Please forward your application form and full CV with photocopies of Certificates, quoting the relevant reference number to: Human Resources, P O Box 144, Mandeni, 4490 or hand-deliver to: Mandeni Local Municipality, 2 Kingfisher Road, Mandeni. CLOSING DATE: 22 MARCH 2019 AT 12:00. Faxed and e-mailed applications will not be considered. If you do not hearfrom us within 30 days of the closing date consider your application as unsuccessful. 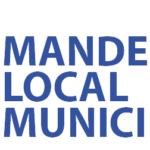 Application forms are available on the Mandeni Municipal website: www.mandeni.gov.za or at any Municipal building. NB: The Municipality is an equal opportunity affirmative action employer. The municipality reserves the right not to make appointments. No canvassing of Councillors or Officials concerned is allowed as that may lead to the automatic disqualification of the candidate.